With instant coupon at the AVG Store. You’ve probably noticed that there is no place to enter a coupon code when ordering at avg.com. That’s because all of their deals are automatically activated when you follow a deal link. Luckily, we’ve partnered with AVG directly to offer all visitors of Software Voucher a 20% savings when ordering AVG Internet Security 2015. Just follow the above link and you’ll see the discount will be instantly applied to your order helping drop to price on an annual license to $43.99. This offer is valid through April 15, 2019. You can now get an amazing deal on the outgoing 2014 version of AVG Internet Security as Amazon clears out their remaining inventory to make room for AVG Internet Security 2015. Find the 3 license version for as much as $31.00 off the retail price of $69.99. That drops the price to just $38.33 which is 45% off the list price. It also qualifies for Amazon’s free super saver shipping program (because it’s just over the $35.00 minim free shipping threshold). Just keep in mind that inventory levels are low and prices are subject to change without notice. Prices and discounts are subject to vary and change without notice. On your second year of protection. When it comes to buying antivirus software, you’ll usually save the most if you purchase two years of protection upfront. And the more licenses you by, the lower it will cost per PC. So if you have two or more computers that need antivirus protection or if already know that you’ll be keeping your machine for more than a year and won’t be replacing it, then recommend you check out the multi-year/user discounts at avg.com. Chances are that if you’ve been using your PC without the proper internet security software then your computer could already have a virus on it. If you suspect that your computer is infected, then AVG offers expert help in virus removal and will install the latest version of Internet Security 2015 (with 12 months of protection) for $129.99. They are available 24/7 and also provide you with a money back guarantee if they can’t help or if you’re unsatisfied with their work. AVG does not offer special discounts for students but there are a number of other companies that do. If you’re not 100% set on getting AVG Internet Security 2015, then check out our student section that lists special deals on Kaspersky, Norton, and McAfee. Most student offers will require you to show a form of verification that you are currently a full or part-time student in a K-12 or higher education intuition. If you’re renewing and/or upgrading your current version of AVG internet security, then you may qualify for their loyalty discount for existing customers. 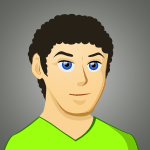 The discount level will vary depending on the version that you currently own. You’ll need to enter your license key to see what you qualify for. To find it, just open up your version of AVG and click on the “support” tab in the top right corner. If you haven’t yet downloaded the trial version, then you can download a copy of Internet Security 2015 at avg.com and test it out for a full month. You’ll be able to run full hard drive and file scans with the trial. Then at 30-days, decide for yourself if it’s worth purchasing or not. If you decide to get it, you won’t need to reinstall the software as you can just enter the activation key given to you once your license is purchased. AVG Internet Security 2016 is coming. 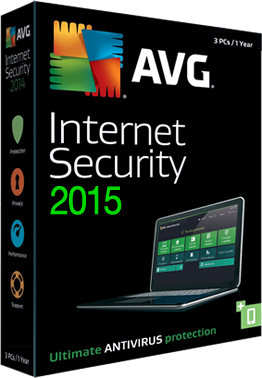 The all new 2016 version of AVG Internet Security 2016 is set to be released next September. Come learn more about the expected release date, sign up to become a beta tester, and see what others would like to see changed/added in the 2016 release. Does AVG have a return policy? If you purchase AVG Internet Security 2015 through the North American site at AVG.com, then you are fully covered with a 30 day satisfaction guarantee. If you’re not happy with your order, simply contact their customer support team to request for a refund. The return policy on orders made from third-party resellers will vary and depend on their individual store policies.